AT the porous edges of ordinary life in Havana in 1957 were the tyranny of Fulgencio Batista (1901-1973) and the growing rebellion of the 26th of July Movement led by Fidel Castro. What began in the provinces of Cuban society moves, inexorably, to the centre. The flight of the family at the heart of this Young Adult novel from their city, Marianao, will come to represent eventually the flight of all Cubans into a future marked by the rise of Castro and his authoritarian rule, or by flight to Miami. In a deceptively understated, nuanced way, Viviano Prado-Nunez, in The Art of White Roses, skirts the boundaries of great horror and terror, observing the domesticities of this family and recording the growing brutality of Batista’s military resistance to the revolt. The boat Granma, the names of the Castros, Ché Guevara and Camilo Cienfuegos, the Sierra Maestra mountains, the black and white photographs of the triumphant entry into Havana early in January 1959, the despised Batista’s fleeing to the Dominican Republic, were legendary stuff to young Caribbean idealists and intellectuals of the tumultuous 70s. While this novel does not attempt a full historical background, certain incidents are important events involving the characters. Already in 1957, the year of the novel, student demonstrations and riots were frequent; discontent grew among Cubans as violence, torture and public executions were daily fare; it is estimated that from hundreds to 20,000 people were killed. Disappearances of citizens, one of the connecting plots of the novel, was commonplace. In the work, the tensions, the missing among the neighbours of the characters, the murders, the American Mafia presence are rooted in the facts of those days. The title of the novel originates in a poem by José Marti (1853-1895), I Grow a White Rose. Marti is a Cuban national hero, called the “Apostle of Cuban Independence.” Though he died early in it, he is credited as a key figure of the Cuban War of Independence. He is an important figure in Latin American literature, recognised as a poet, essayist, journalist and publisher. The poem is a call for love and reconciliation, even toward enemies, and this will be an important theme as the story of family unfolds. 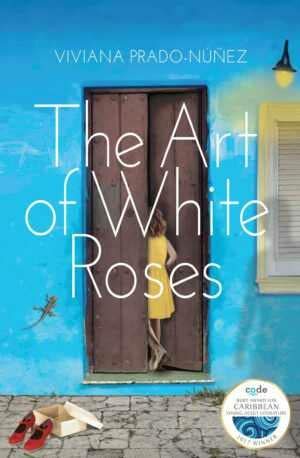 Adela Santiago is the 13-year-old, first-person narrator of The Art of White Roses. Her family consists of father Papi, mother Mami, grandfather Abuelo, brother Pinguino, cousin Miguel, uncle Rodrigo, a policeman. They live in Marianao, a real suburb of Havana. Their street is a cross-section of what is happening in the capital and across the country in 1957. Nights are filled with gunshots, repercussions of the historical attack on the presidential palace in March were affecting everyone with tanks on the street, young neighbours cannot be found, and cousin Miguel was almost killed when the Hotel Nacional where he worked was bombed. News of Fidel’s operations in the Oriente province was talked about everywhere. On the verge of departure, the novel descends into more palpable tragedy – murder and the discoveries of bodies of their missing friends, horribly tortured. If there is any optimistic note at the end, it is the coming to maturity of Adela, and the understanding of the white roses of Marti, and of the departure from her childhood home as a new beginning: “When we finally left our tiny blue house in Marianao, the sky was a deep and truthful indigo. The colour of endings, the colour of beginnings…either way, it was the end of imagining things. It was time to go now.” In a lightly-handled way, this departure, of this typical family, will sign an end of the Batista-era Cuba and its cruelties and the hope-filled arrival of the Castro-era of a modern Cuba. It is a tribute to the talent of this writer that the harsh and brutal political realities of 1957 remain the background to the common domesticities represented by her family. In our own days of great migrant refugee movements, continuing war and the attendant suffering of families in many places, it will do us well to be reminded by this Young Adult novel of how many ordinary lives and their hopes must find refuge away from their familiar and loved neighbourhoods. The increasing violent crime in our Caribbean capitals, with too many deaths, may not augur a revolution, but certainly create climates of fear and apprehension, for young and old. For a first novel, Prado-Nunez’s style has a certain sophistication, a freshness, a subtle weaving of conflict, characters, setting, tone from the opening chapter. In the second chapter we meet the lonely but aware and imaginative Adela, who says of herself: “Not that anyone ever noticed me anyway. No one in my class ever spoke to me…I always imagined myself dissolving into walls, my skin camouflaging into the colour of bricks, leaving behind hovering eyes and a mouth…There was no one else who was 13 and lonely. Or maybe there was and no one talked about it. The other kids didn’t like thinking.” Young adult readers will recognise this experience. With all the important fictional elements outlined in these first chapters, she unfolds the events in the streets and in the lives of the family with a dramatic power that avoids melodrama or showy flourishes, a certain distancing that allows a non-sentimental sketching of the developing story. This novel, with attractive cover art by Andy Dark, published by Polly Pattullo and her Papillote Press, was the 2017 winner of the Code Burt Award for Caribbean Young Adult Literature. I look forward to more work from Viviana Prado-Nunez, a fine young Caribbean writer. 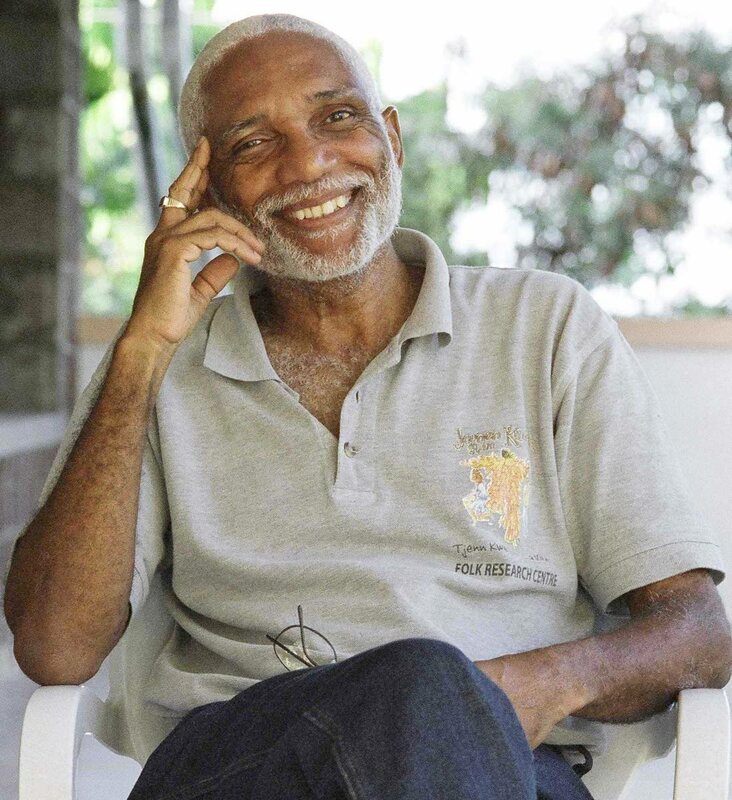 John Robert Lee is a St Lucian author. His Index of St Lucian Writers and Writing is forthcoming from Papillote Press in March 2019. Reply to "At the edge of domesticities, revolution"